Dark details have been released regarding the death of Credit Card. She wanted the horse killed and watched as Credit Card was shot in the head and his throat slit. As more disturbing details become available related to the arrest of Jaci Rae Jackson, two more arrests have been made in the case, this time in Oklahoma. Mickie Lynn Carter and Charles Tramble were picked up on warrants. They are charged with knowingly concealing stolen property, which is a felony. Jackson’s Mom, Wendie Cox is Carter’s cousin. Cox told Carter that “there was a horse trailer at her [Carter’s] house and that it was full of tack and she could help herself to it,” according to court documents. Rate My Horse PRO contacted Cox and she denied having any first-hand knowledge of the events surrounding the theft. The investigation continues and more arrests are expected, but disbelief runs thick through the small Arkansas community. Rodeo Coach Rusty Hays says he believes jealousy is what led to the scheme. “Shaun is team President and Mr. Popular and I think it was a way for her [Jaci Rae Jackson] to seek revenge. Contrary to many reports, the two did not have a romantic relationship”. 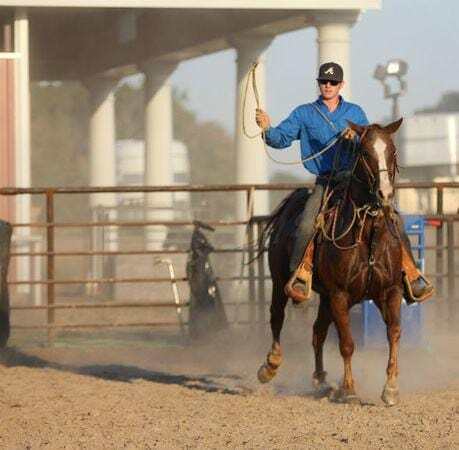 A freshman at Southern Arkansas University the barrel racer was new to the rodeo team. According to investigators, she allegedly sought the help of a man who is a known “horse trader” and livestock thief, William “Billy” Hamilton. Investigators say Hamilton currently has open warrants for unrelated incidents in Arkansas. “I think they took the roping horses and were going to sell them to get her barrel racing horses that would be competitive at this level – that’s just my opinion,” added Hays. Documents state Hamilton is dating Jackson’s mother, although Cox denied having a boyfriend when we spoke with her. When asked what part she played in the thefts and killing of Credit Card, she said, “I am a nurse and I worked sixteen hours that day”. Rodeo team member Ashley Mills says the group “is very close”. Four horses including Mills’ gelding Badger were found tied to trees without food or water in a rural part of Oklahoma, left to die. Credit Card’s body was “quartered” into numerous pieces according to statements given by Jackson. Reportedly for easier transport and disposal. “It’s hard to believe one of us could to that to us,” Mills reflects stoically. Jackson has been charged with three counts of theft of property over $25,000 and three counts of theft of property between $5,000 and $25,000. She is also being held on three felony charges out of Oklahoma, including moving stolen property into the state, knowingly concealing stolen property, and animal cruelty. Warrants have not been issued for additional suspects in the case in Arkansas. The only suspect with an outstanding warrant in Oklahoma investigators say is Jackson, who remains behind bars on $150,000 bond. Her first appearance is tomorrow. Carter and Tramble both posted $15,000 bond each and are scheduled to make appearances tomorrow.